One of my friends at the Utah Brewers Cooperative in Salt Lake City hooked me up again with a handful of samples to check out, some new and some repeats with their awesome new label art and packaging! 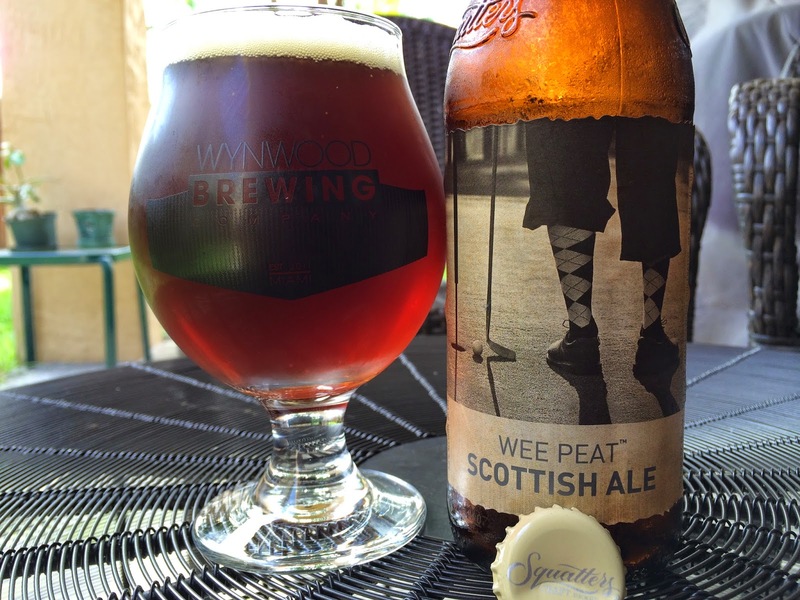 I chose to try Squatters Wee Peat Scottish Ale first. 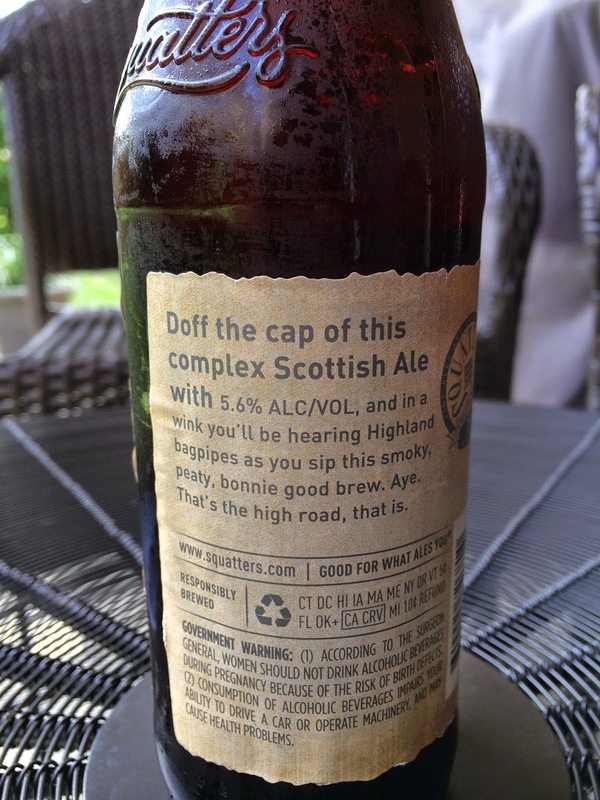 The golf-themed label is totally appropriate as I sit here watching the final round of the Wyndham Championship. A black and white close up of a dude sporting argyle socks and golf knickers is about to tap in for birdie (unlike Tiger Woods). The back label tells a little story to set your expectations. 5.6% alcohol. Giving a nod to Wynwood Brewing's first year anniversary (which I just missed while on vacation), I poured the beer in their branded glass. Smoky and caramel filled aroma. Lots of smoky flavors in the beginning as well, but not ever annoying as is sometimes the case. Caramel and ripe plum sweetness are next, with hints of savory meaty bacon as well. At first that savory angle seemed a little much, but a few sips and some warmth made it an enjoyable nuance. Good body. I don't see this in my South Florida home base any time soon, but this brewery is expanding out west and you can check them out in lots of places. As for this beer, definitely include it in a flight next time you're in town.